Graduates Worldwide: Since 1996, over 1,500 graduates have been accredited (from over 60 countries) and our international Partners Accredited Certification programs have certified over 5,000 graduates from around the world. Many of these graduates are now some of the world's leading experts in their field. Note: All graduates automatically become full members of the International Coaching Council . For over 25 years the ICC has been the world's preeminent internationally recognized coach accreditation body and a global professional coaching industry group. As confirmed by Wikipedia -the ICC is one of only two professional coach coach training accreditation bodies that are internationally recognized. All Graduates gain the prestigious ICC Gold Seal Accredited Coaching Services. The ICC Gold Seal bestows market credibility upon the graduate’s services and places them at the head of the coaching marketplace. The ICC obviously cannot guarantee the quality of every graduates services but it can provide an important message to the marketplace that the graduate is striving to be the best in their field by undertaking advanced, world best standard coach training and delivering coaching services that employ the highest rated, scientifically proven coaching tools and techniques available. Each region is appointed a RNL (a senior MCC-Level 3 graduate) by the ICC. The RNL's primary role is to help further the development, knowledge, skills, motivation, commitment and professional identity of members of the network. The Network's communication channels are email, group videoconference get-togethers and periodic in-person meetings. The Network is an invaluable means for members to obtain support and a sounding board from trusted peers and colleagues. Members are also able to refer any coaching work to fellow members of the network. Peer-to-Peer Coaching and a reflective approach are the key development models used by the RNL to enhance member's self-knowledge, self-awareness and self-confidence. -Graduates are also provided a valuable space to meet privately with their peers to think through their past, present and future coaching experiences, actions and decisions. The RNL: -frames and directs dialogue between the regional network members. -organises contact and discussions on common topics of interest. coaching resources, latest coaching news, events and trends etc. Notes: - This is a relatively new optional directory for graduates who wish to have their name listed online. It is not a complete listing of our graduate coaches and corporate clients who have completed ICC Accredited Courses over the last several years. - The below contact email addresses are strictly to be used by individuals or organizations seeking to contact graduates who work in private practice regards supply of coaching services. To send an email requesting information for coaching services simply click onto the selected coach's name and supply your name, details and nature of coaching contract etc. Mass mailings will be ignored. - The Institute takes client confidentiality very seriously. Information about our clients (individual graduates or organizational clients) is shared with no one. The Institute will not acknowledge requests for information about a client without their prior written consent. 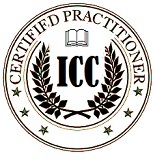 - The graduates (working in private practice and within organizations) listed on this page have satisfactorily completed an ICC Accredited Course and may also possess additional qualifications to provide specialist professional coaching services. Note: The email contact addresses contained in this Registry are strictly for the purpose of sourcing qualified, professional business coaches in private practice for the supply of services. As such, any other email received is automatically deleted. Instituto Brasileiro de Coaching is BCI's Exclusive Master Licensee Holder in Brazil. As BCI's official Learning Partner they are the only authorized agent for BCI's Courses and Brand in Brazil. José Roberto Marques. President of Instituto Brasileiro de Coaching. Advanced Senior Certified Master Coach (CMS -BCI's highest level designation). Disclaimer: Inclusion of a name on this page does not imply endorsement of the person or their services. By entering and using this Registry you expressly agree to hold the authors harmless from any and all claims, of any nature whatsoever, which may arise as a result of your utilizing the information provided. Copyright © 2008-2019, ICC. All Rights Reserved.